The Traveling Love Fairy is here to inspire and enable you to make it happen. I'm Jenn, the voice behind the Traveling Love Fairy. I'm a dream life enabler and digital nomad who is thrilled to share my story and stand by your side while you take off on your journey towards making your dreams reality. Here, I'll share my dream life of living intentionally, working mindfully and adventuring passionately while providing you with the tools to do the same. You've come to the right place if you're ready to be inspired and empowered to live your dream life. This is not a place for the complacent, the mundane or the scared. Here you will be challenged to question everything, jump off the deep in and redefine the rules for yourself. Are you ready? Read on. You are in control of your destiny and you will only be as successful as you set yourself up to be. You can't live your dream life if you don't know what it entails. You can't find your ideal clients if you don't know who they are. You can't change the world without clarity on what your values actually include. Think of this site as a tool to help you find all of those answers and more. Outside of the digital realm, oracle cards are one of my favorite tools to help find insight and inspiration. 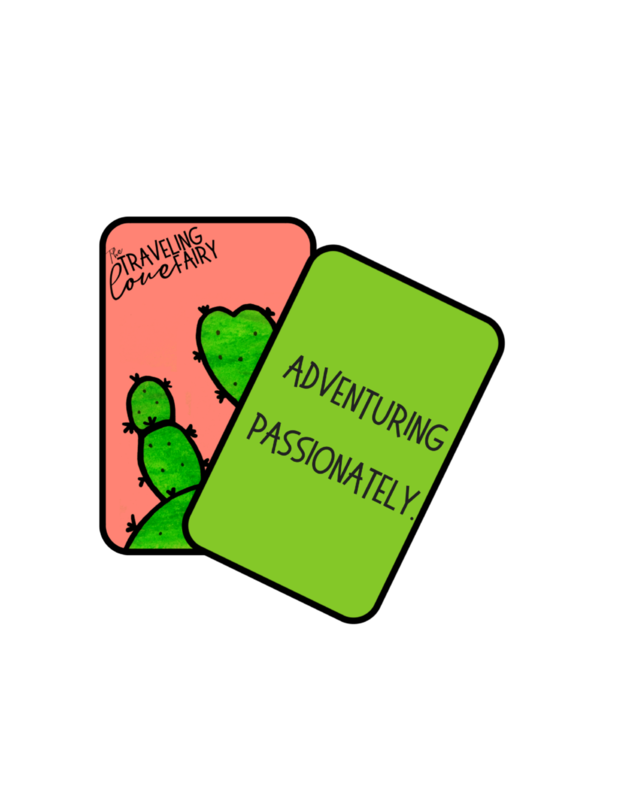 So here online, I've bottled up all of my skills and experiences as a dream life enabler into a set of cards to guild you on your journey through this site. Choose the card that most resonates with your needs right now and celebrate moving ever closer to living your dream life everyday. Choose this card to learn more about my story, attempting to live zero waste in a 33 year old camper and how my dream life developed into what it is today. Pick this card if you're curious how to become a digital nomad or need help in creating a thriving online business to support your dreams. For glimpses into the day to day shenanigans involved in living my dream life in a camper with two dogs and all of the stories that result, pick this card to jump to my blog.